Apple has always made design a product priority, but the company has reached new heights with its latest products. There’s a famous apocryphal quote about how the job of a sculptor is to remove the excess rock to expose the statue that’s waiting inside. There’s a rich idea there about creativity and vision and striving for an ideal that’s just waiting to be realized. Now, Apple products aren’t sculptures, but if you’ve been paying attention to Apple for any amount of time, you know that it’s a company with a very specific approach to creating and iterating on products. It’s committed to simplicity in its design. New products often arrive with elaborate videos explaining the design philosophy that drives the technological decision-making and execution. At Tuesday’s Apple media event, I feel like two of Apple’s products reached the form and function that its creators have been striving for since the very beginning. 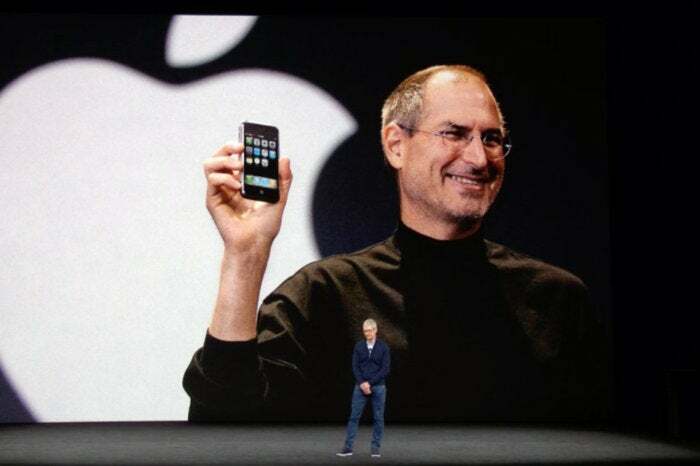 The iPhone’s defining trait in 2007 was that the face was almost entirely screen. There was no keyboard, just a tall screen with a single button at the bottom of the face. But in terms of design, filling that entire face with screen—no bezels, no buttons—has been the goal. That means that from the beginning, from the conception of the first iPhone, the goal has been to get to someplace where the entire face of the device vanishes. iPhone X is so close to this goal that I think I’m going to give it full marks for passing the test. Yes, there’s a cut-out section at the top of the screen for a whole host of advanced sensors. Maybe someday that section will vanish entirely and the sensors will be utterly invisible. But I think in general terms the iPhone X has fulfilled that initial conception. It’s curved at the edges, parallelling the curve of the hardware itself. This is no longer a rectangular screen shoved inside a round-rect shell. The curves that surround the cut-out section match the ones around the edges. This is a phone that feels like it’s all screen, for the first time. Still, Apple’s Jeff Williams referred to the Apple Watch Series 3 with cellular as “the ultimate expression of Apple Watch.” There’s more than a hint of that same concept, of a product reaching a milestone, in Williams’s statement. 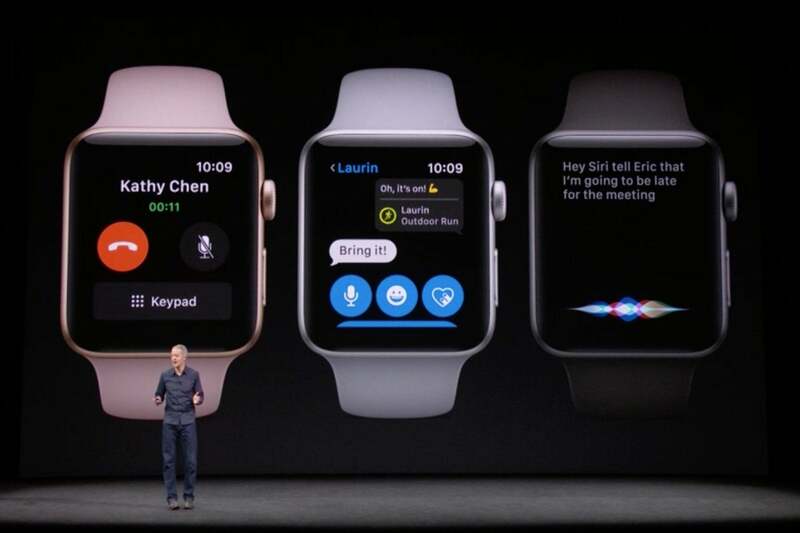 Apple’s Jeff Williams talks about the new features in Apple Watch Series 3. The Apple Watch, as it is, is an accessory to the iPhone. That was a good place to start, and makes sense in a whole lot of ways. I don’t expect that the Apple Watch will ever become entirely free from the iPhone, just as the iPod never became entirely free from the Mac. Even the iPad and iPhone still occasionally want to be plugged into a computer, for certain very specific tasks. But in the long run, the Apple Watch needs to stand on its own. It needs access to the internet. Its apps need to be able to operate independently. People who use an Apple Watch shouldn’t need to feel like they’re forced to bring their iPhones with them because of the invisible tether between the devices. The Apple Watch’s future was always going to be as an independent device. Its first few iterations couldn’t get it there, but with its new cellular capabilities, it has crossed a threshold. I hope that next year’s update to watchOS embraces those capabilites and gives app developers even more power to turn the Apple Watch into its own independent product, with the iPhone taking a role as a little more of a helpful big sibling, and a little less of a smotheringly overprotective parent. So with these milestones, are these products’ best days behind them? Of course not. Just because they’ve come this far doesn’t mean they’re perfect, nor does it suggest that they won’t keep changing and growing in the future. But still... In some strange way, Tuesday feels like the day that the iPhone and Apple Watch both fulfilled some basic part of their original conception for the very first time.